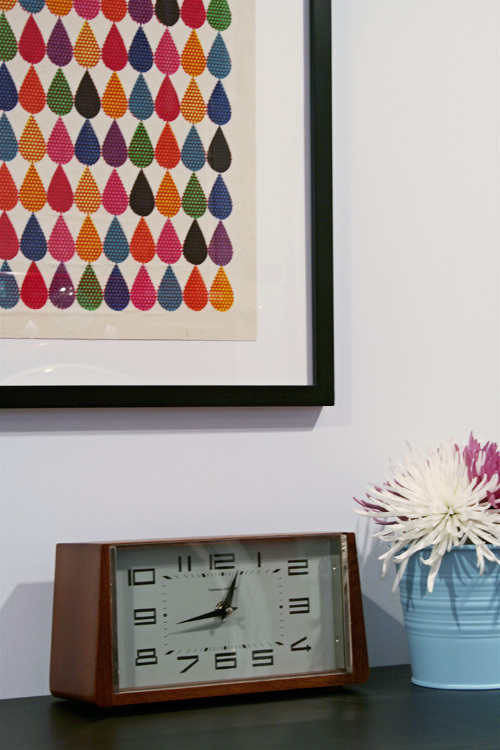 Today I'm sharing the new laundry room of Nicole from Making It Lovely. She used the same flooring that I'll be using in my own laundry room. 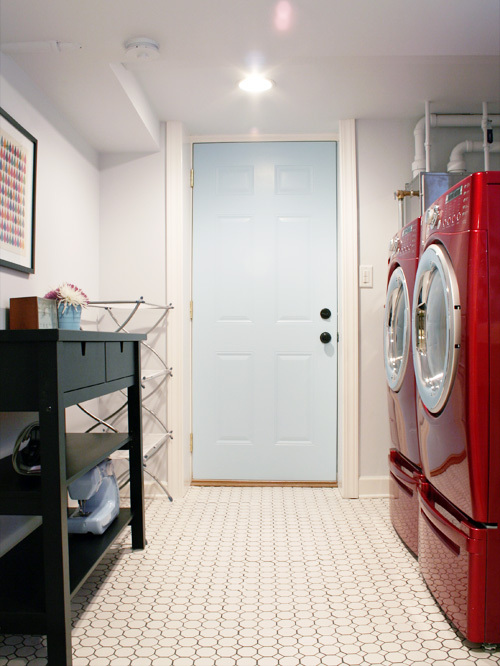 I love what she did with her laundry room, especially the happy blue door. And the red washer/dryer is so fun!! Such a clean, fun, functional space. It makes me excited to finally have my laundry room done. Although we are using the same flooring, our laundry rooms will be very different. After I hit publish on this post, my MIL and I are heading to Home Depot to pick up the flooring supplies. I can't wait to get started! This is quite possibly the prettiest laundry ever. Wow at the blue door! 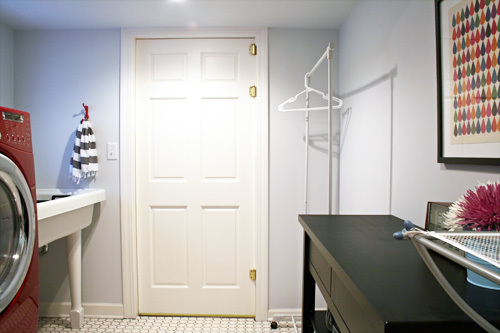 I really loved how her laundry room turned out. I did stripes in our laundry room to make it fun and I love how cheerful it turned out...our room is a room that everyone sees when they walk in and out to the garage, so I wanted something different. Can't wait to see how your room turns out! What a great laundry! Makes me jealous. I only have a closet in the kitchen, ugh. Good luck with your tile project. Can't wait to hear all about it. That sink is awesome! Good luck with the tiling! I put the same flooring in my laundry about 6 months ago and have yet to finish the entire room. This is good inspiration, thanks! 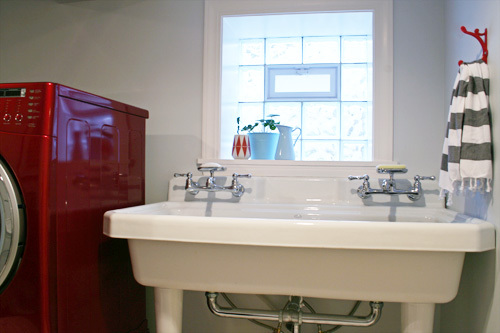 I am totally coveting a red washer/dryer set. I really don't like my front loaders but I don't have a good excuse to get new ones!!!! Thanks for sharing my laundry room! I can't wait to see how yours turns out.